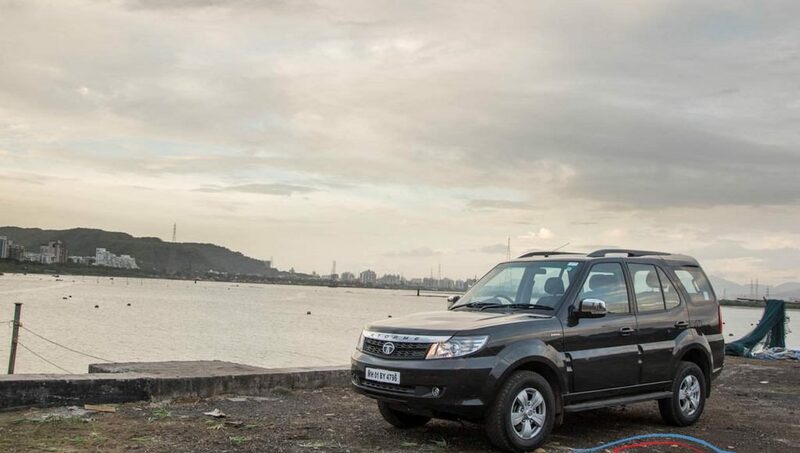 Tata Safari needs no introduction as it has been the iconic vehicle that everybody craves in India. 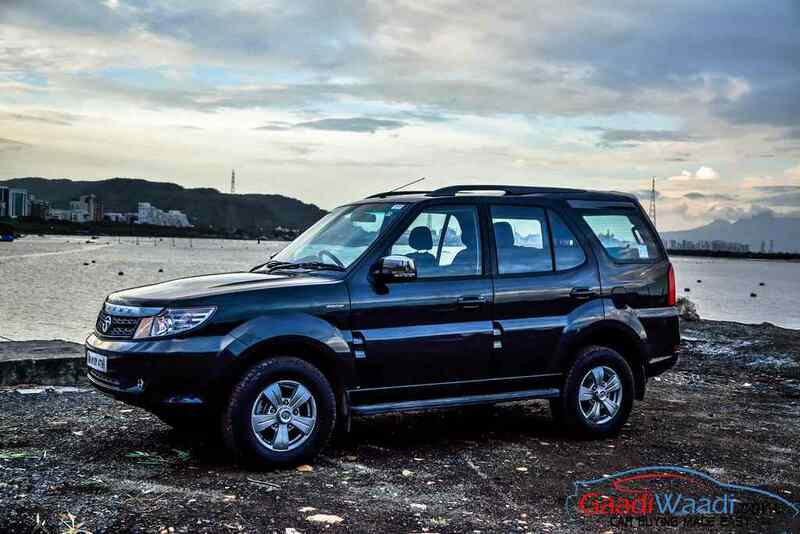 An Indian SUV that came to life in the year 1998 and made off-roading a sport that everybody wanted to do. 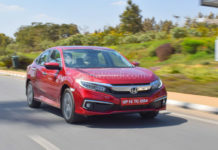 However, over the years, many facelifts, all-new models came in with various engines which also included a petrol engine too. 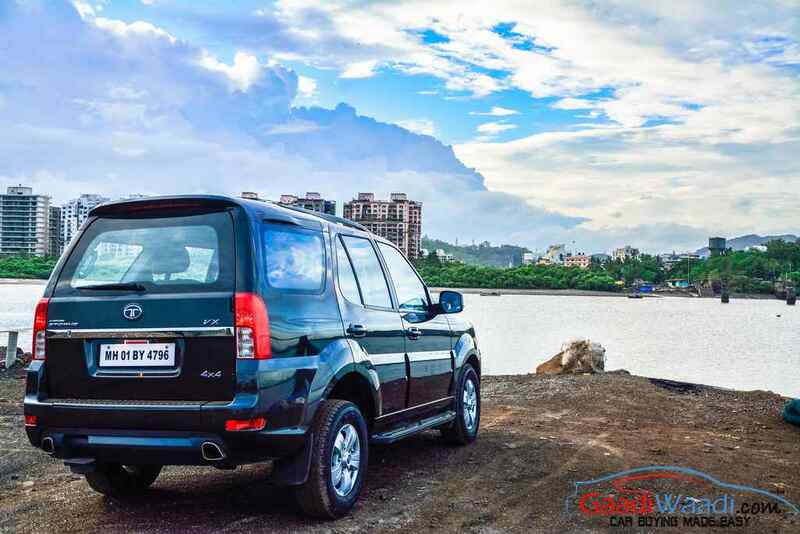 Tata did cash on it very well and tried to price it sensitively with an attractive base price, but as time went by the prices increased drastically and thanks to tough competition the Safari was diminishing. 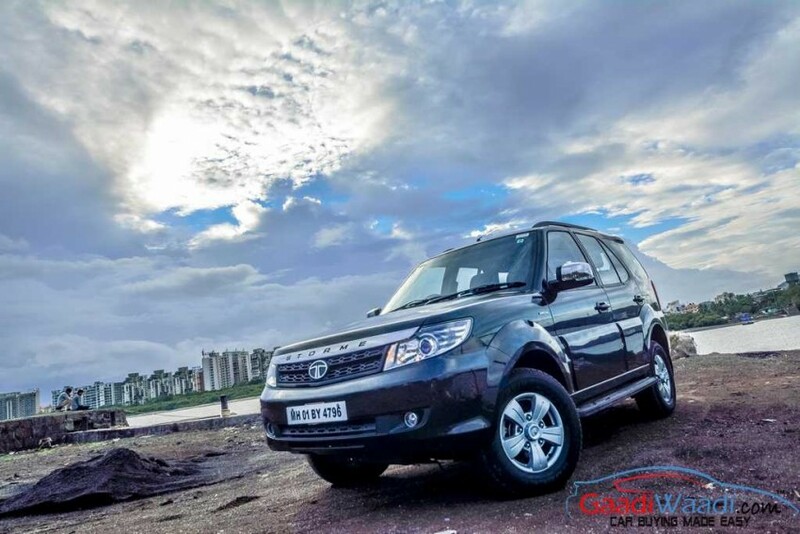 The Year 2012 saw the coming of the Safari Storme which was claimed to be the best Safari till date when it comes to mechanical improvements. Most niggles and technological problems were sorted and it was a much tamed beast to live with despite losing its core qualities. This time, the year 2015 see’s another update. 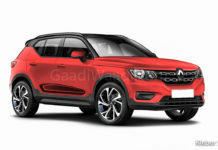 The updates this time are focused on the cosmetic part of the car, both inside and outside. 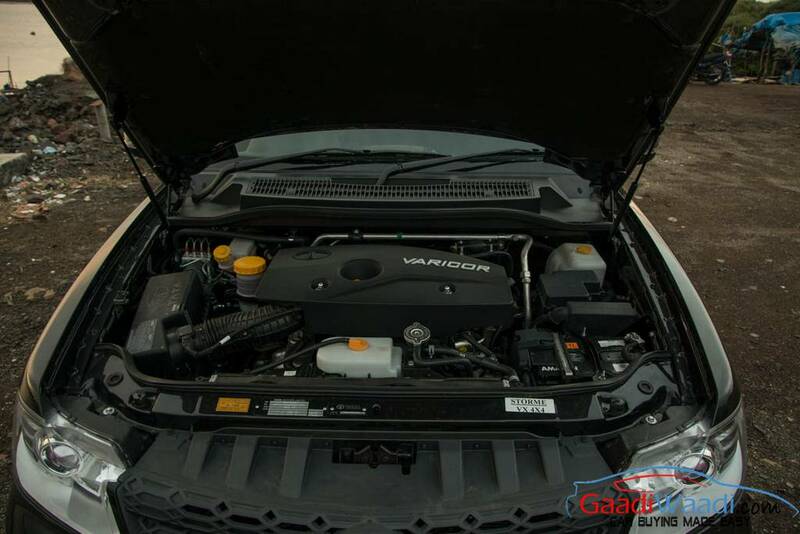 However, there is a bit of change to the engine which will get into later. 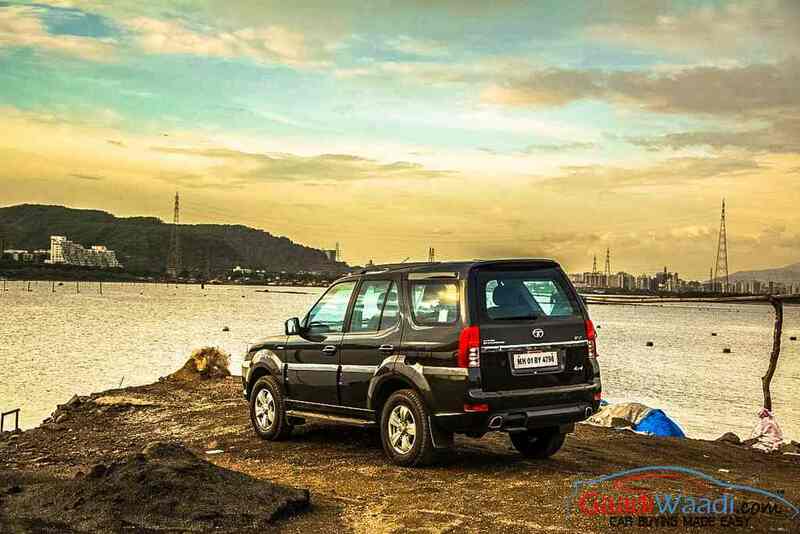 How does the new 2015 Tata Safari Storme fare? Let’s find out! 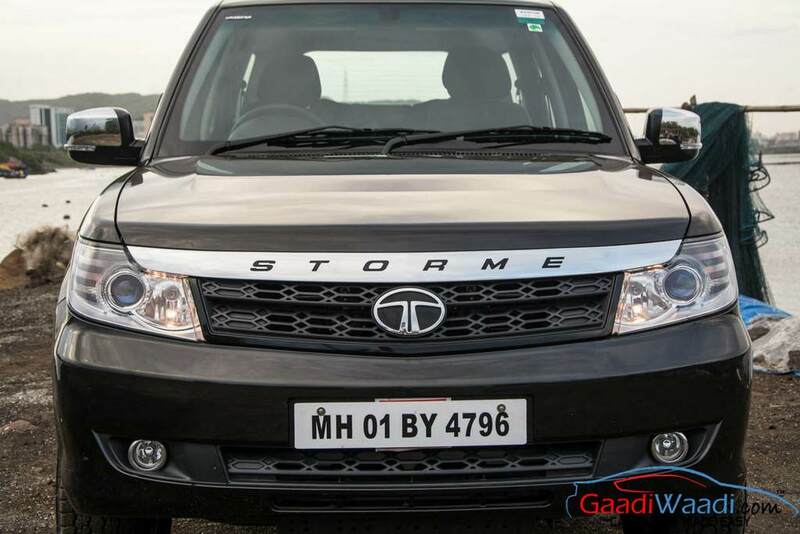 2015 Safari Storme is here show what Tata has achieved with its new strategy. 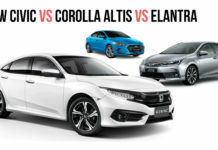 When it comes to styling, the overall silhouette remains the same, but there subtle changes everywhere on the outside of the car. 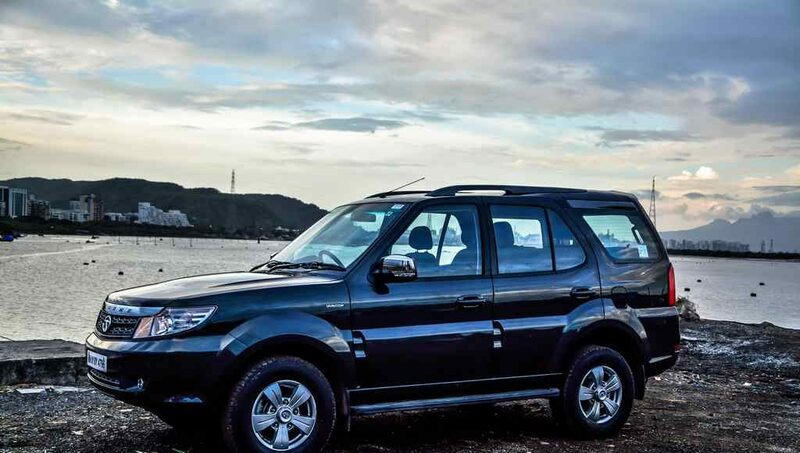 At the front, the grill gets a design which resembles to the Land Rover vehicles with the diamond motif grill being adopted to give it an upmarket stance. 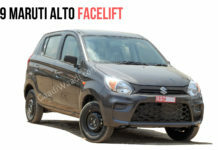 The lower part of the grille also gets the same along with air dam in the lower section. The sides house the new fog lights. 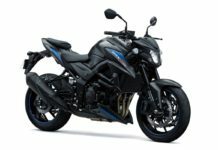 The chrome strip which has Storme embossed on it is now in black color and along with the clam-shell bonnet, it again gives it a very sporty and muscular look. 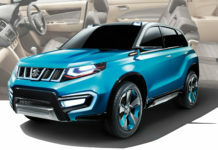 The headlight with projector headlights and the tail-lights remain unchanged. Above, the roof rails are now satin finished instead of the dull white seen on the previous car which works well with the silver color. 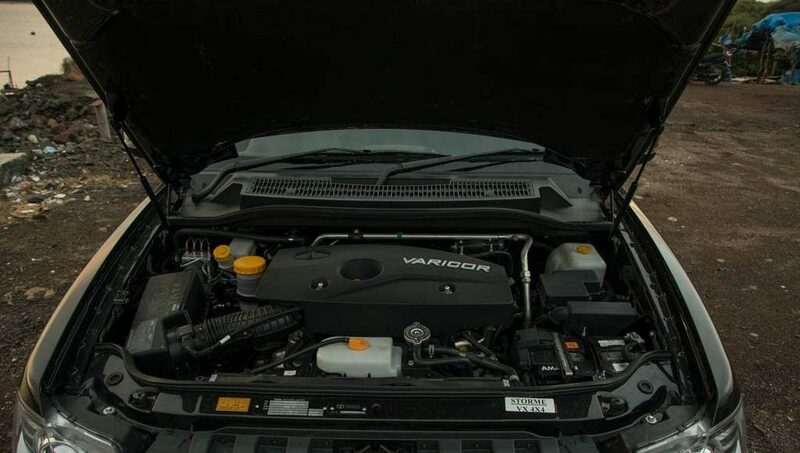 The VARICOR badge on the side fender of the SUV is a new addition to the car. 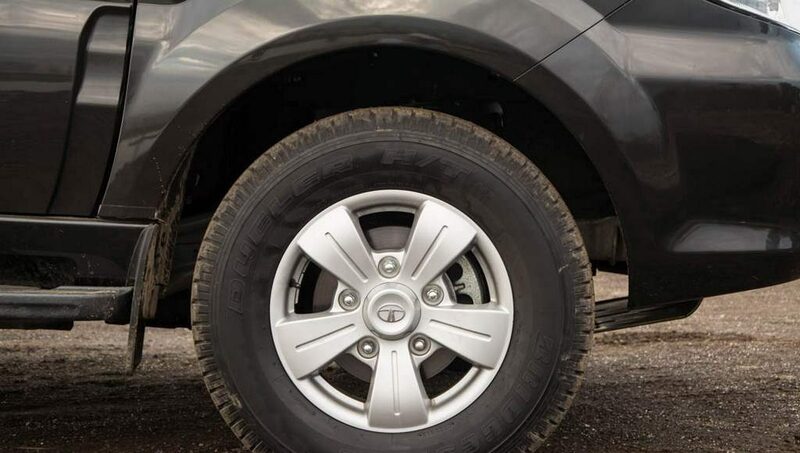 The alloy wheel design is the same as before and so is the rear of the car, which does have many changes to except for Tata badge embossing the black strip. 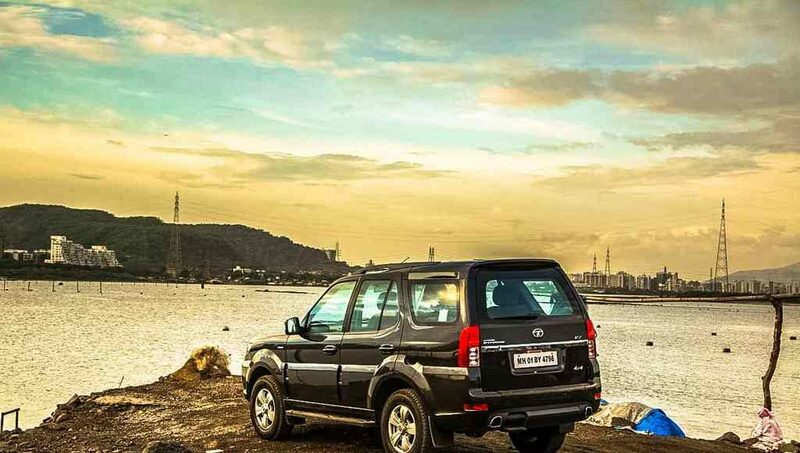 The top end variant gets 16-inch wheels which fill the arches very well. 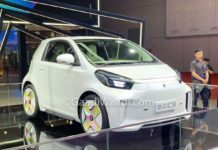 Meanwhile the base variant gets 15-inch. 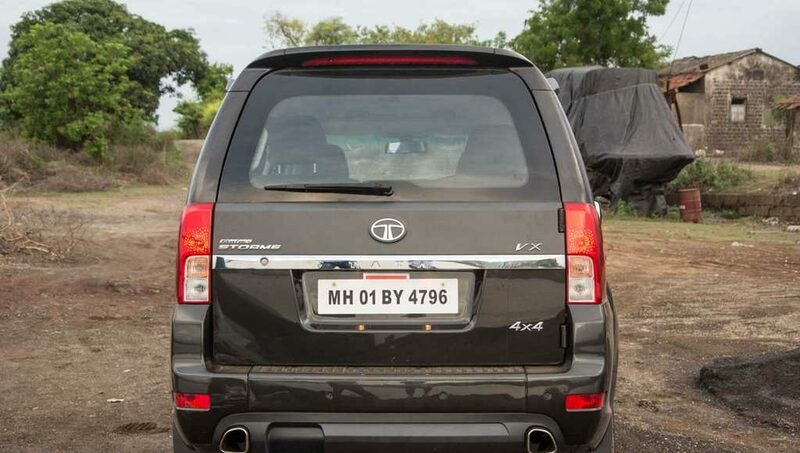 As usual the spare tyre is missing from the tailgate which is robbing the Tata Safari Storme of its iconic looks. 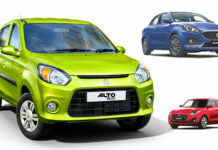 We think customers should be given an option to do that despite the loss in practicality. Artic white and silver along with black are the new colors added to the palette to sooth things up. The interior is where the most significant change has been seen. 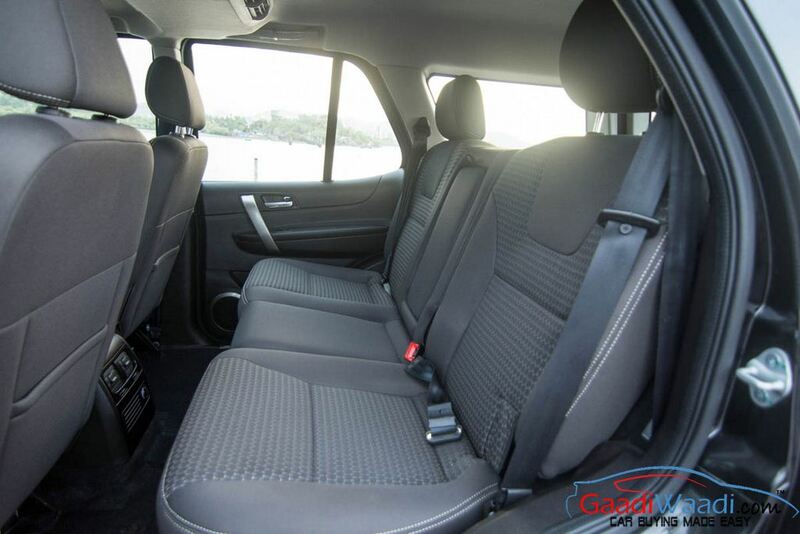 The interior now uses Java black along with black fabric on the top variant that looks great with contrast stitching. 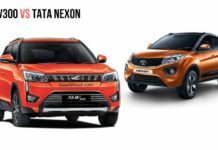 Meanwhile the base variant Java black along with sandstone beige to people who are addicted to the beige color. 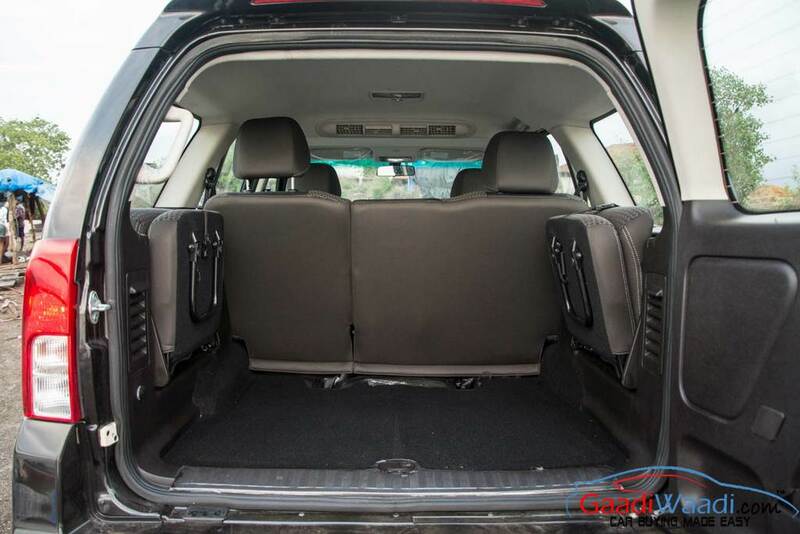 The seats are great and comfortable come with height adjustment to give you a commanding view of the road ahead. Center console is now finished is what’s being called as warm silver and does add to the sporty and luxury quotient at the same time. 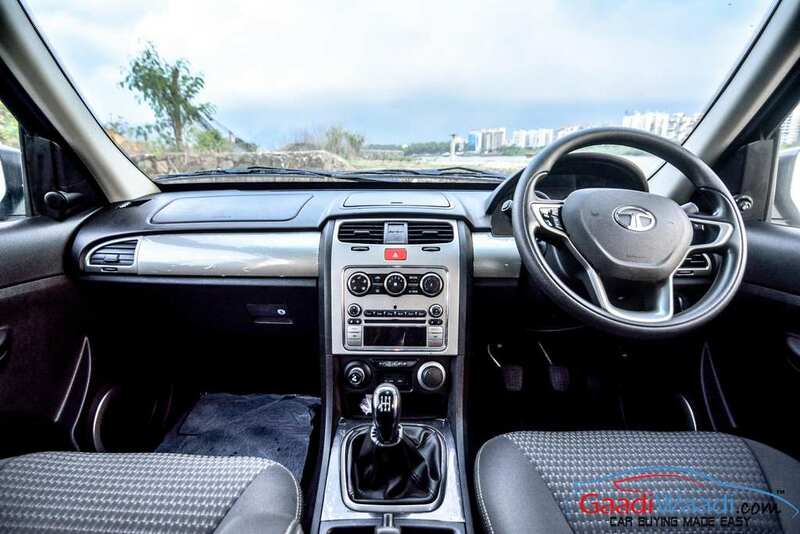 The update to the interior has raised the quality quite a bit thanks to the soft touch dashboard and panels on the door. There are rough edges and the finishing levels aren’t that great. We did notice some rattling and loose panels. 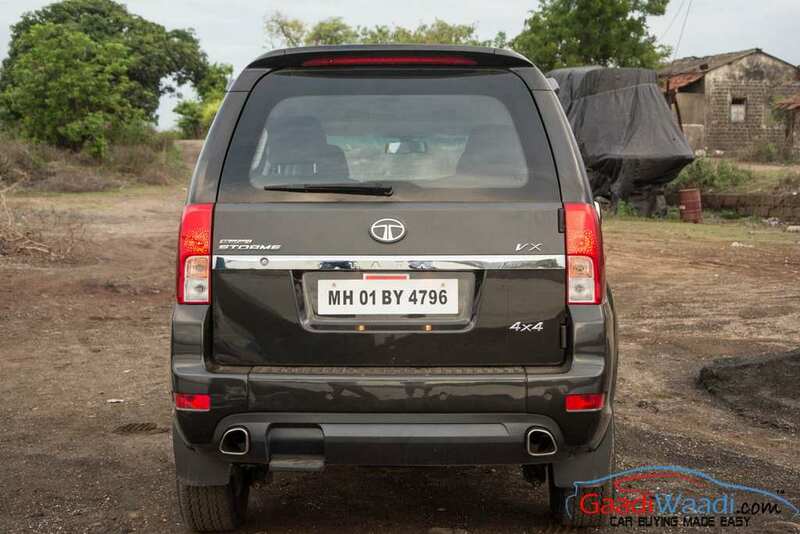 However the A/C squeaking in most Tata cars was not found in the Tata Safari Storme. Glovebox is a quite big and long at the same time. 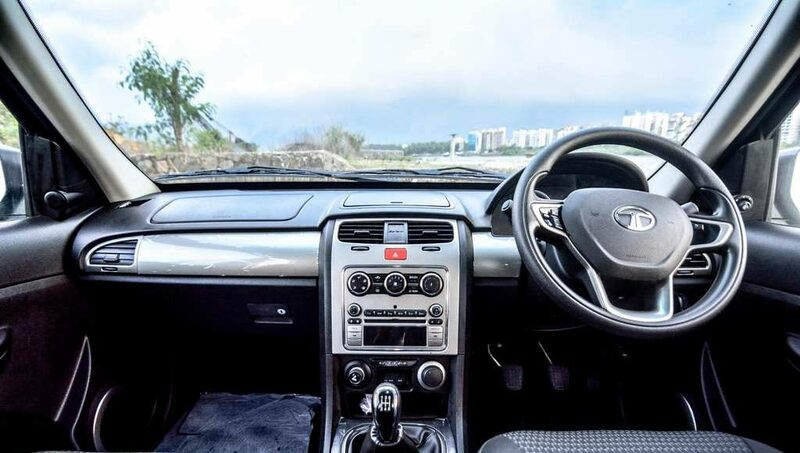 When it comes to features, Tata Safari Storme now has the new steering wheel seen on the new AMT Nano, Bolt and Zest which have audio controls on them. 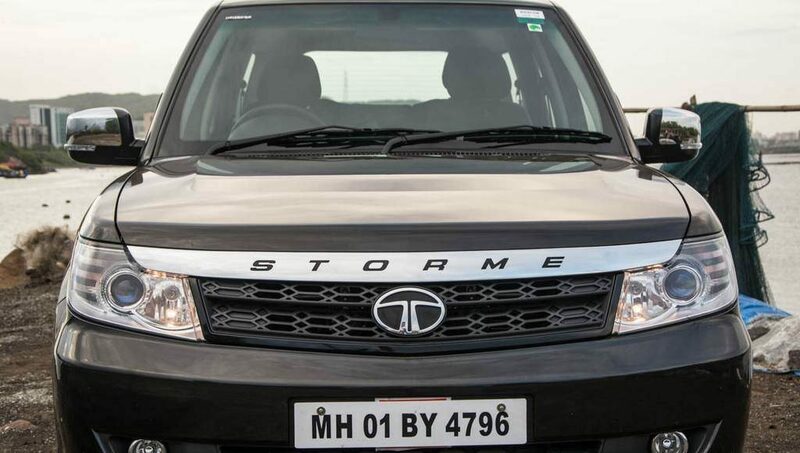 The Safari Storme also gets a Harman system which looks better than the aftermarket system seen in the previous version. The system also sounds good. 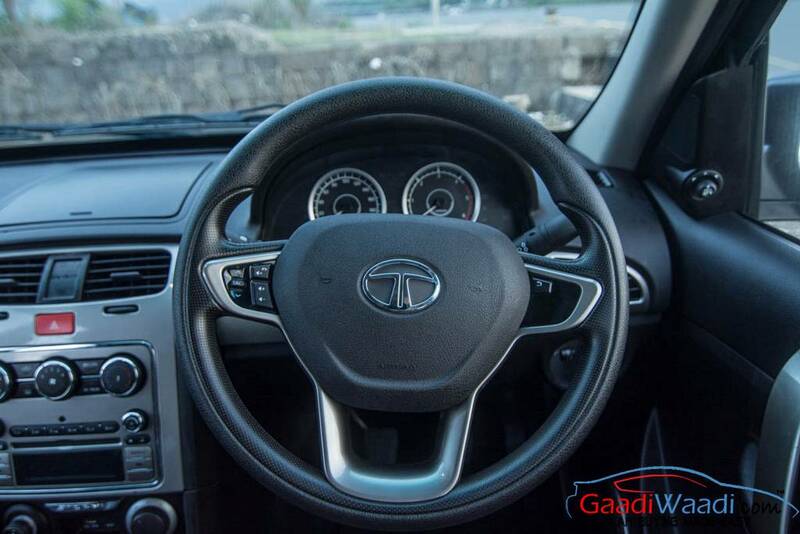 The buttons such as shift on fly and cigarette lighter have been moved up and stuck low on the center console to free space where the gear lever is mounted. Between both the buttons the housing is present for Aux, USB cables and below the housing is there a small cubby hole best for putting your mobile and wallet in. Stowage area is just about adequate with a large area for stuff below the handbrake and cup holder behind the armrest. Bluetooth is easy to connect and works for music and phone. 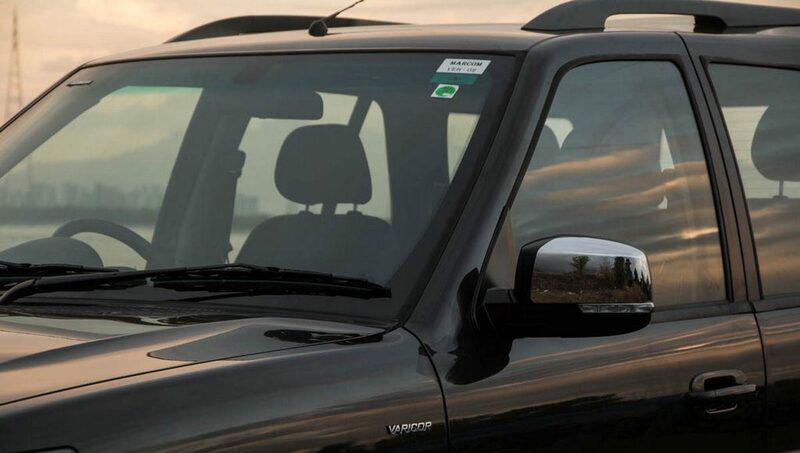 However, the mic is placed on the roof just above the internal rear view mirror which echoes the voice to the listener on the other side. 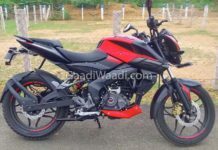 The features which are stilling missing are climate control, dead pedal and MID. What also disappoints is that armrests continue to be extremely slim on both sides and dead pedal is still not included in the list. 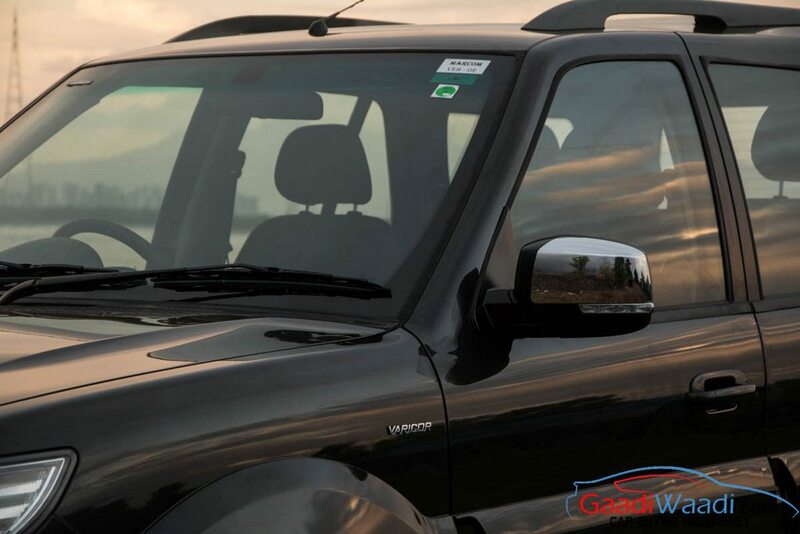 You also get heated mirrors which are electrically operated for adjusting and folding along with turn indicators bolstered in them. All windows are one touchdown expect for the base variant where the Driver only gets it. Cabin lights are cool white color LED which look great at night. 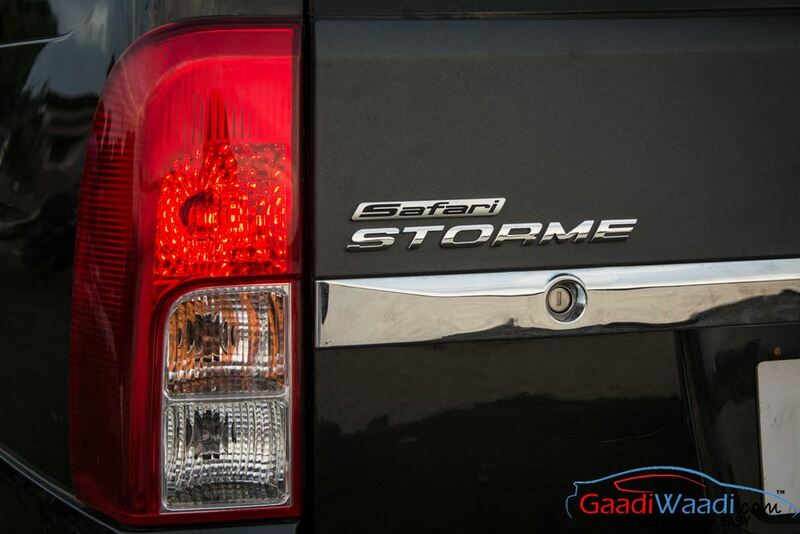 Also new to the 2015 Tata Safari Storme is the Ultrasonic reverse parking sensor which works very well than before. 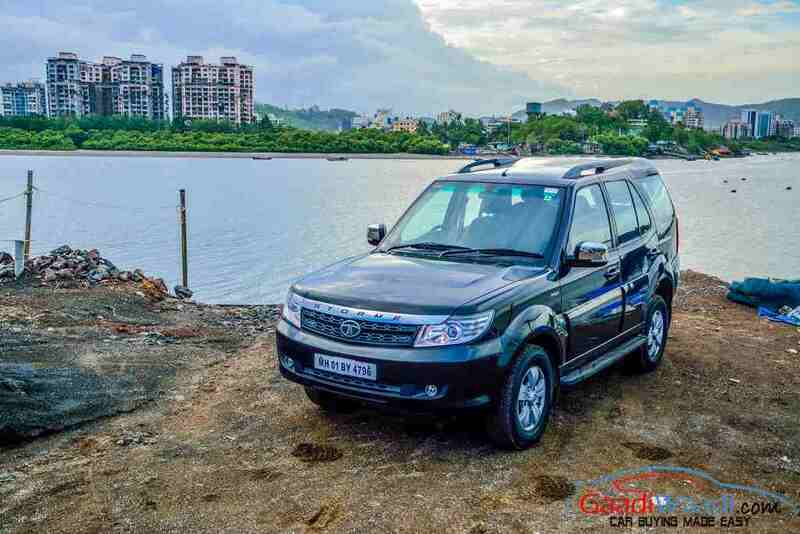 Coming to the rear of the Tata Safari Storme, the car has dedicated A/c vents with cooling coil which works really well. Space in the second row is carnivorous and there is ample amount of head, leg and knee room. With the huge glass area, the greenhouse of the car is quite soothing. 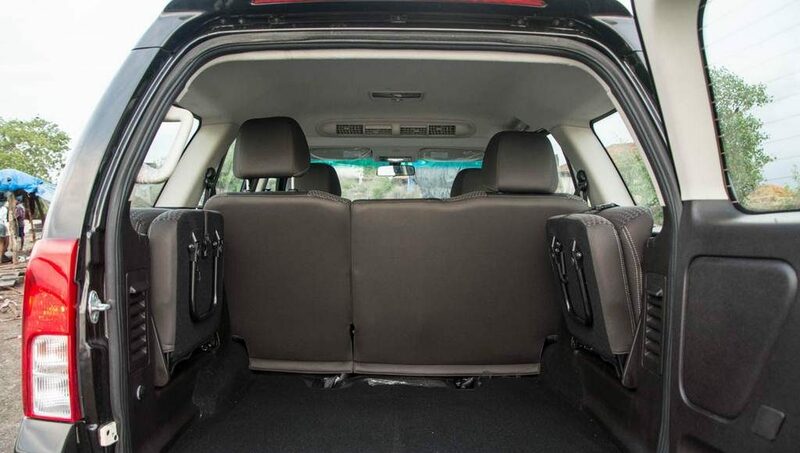 Boot space is enormous, but only with the third row of seats folded. 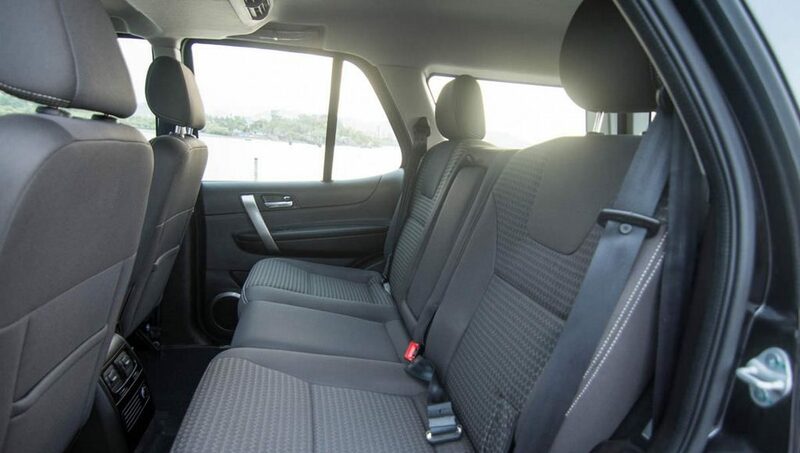 The chair type seat remains the same and there aren’t the most comfortable seats for long distances and arrangement isn’t the safest way either. 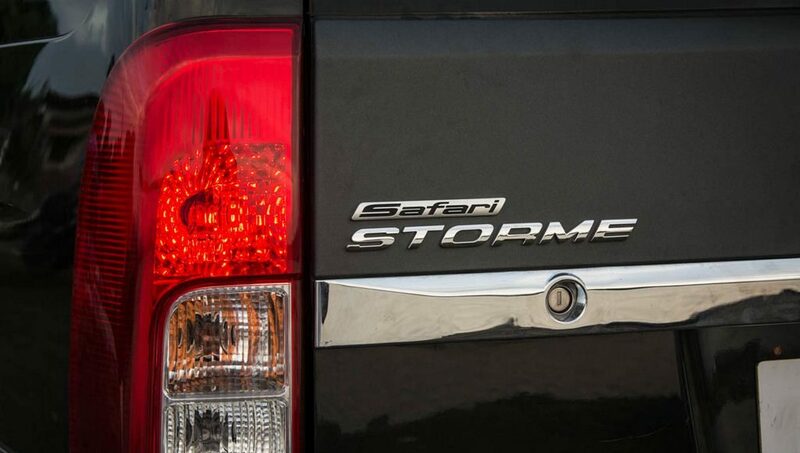 Tata Safari Storme is powered by a 2.2l diesel engine which is now badged as VARICOR engine rather than DICOR engine. The engine mechanically remains pretty much the same, but it gets a 10 BHP extra in this face-lifted version. 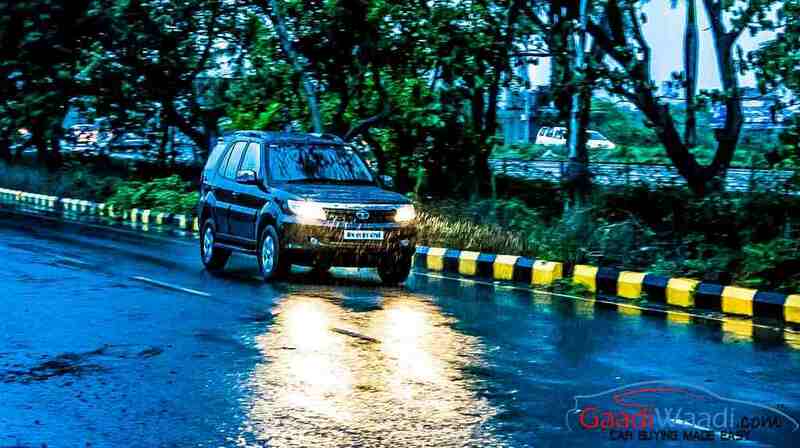 The torque remains the same at 320 Nm. 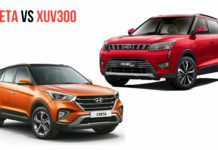 The reason torque was not increased is because the gearbox could not handle it and hence the 400 Nm version may come in the automatic version. 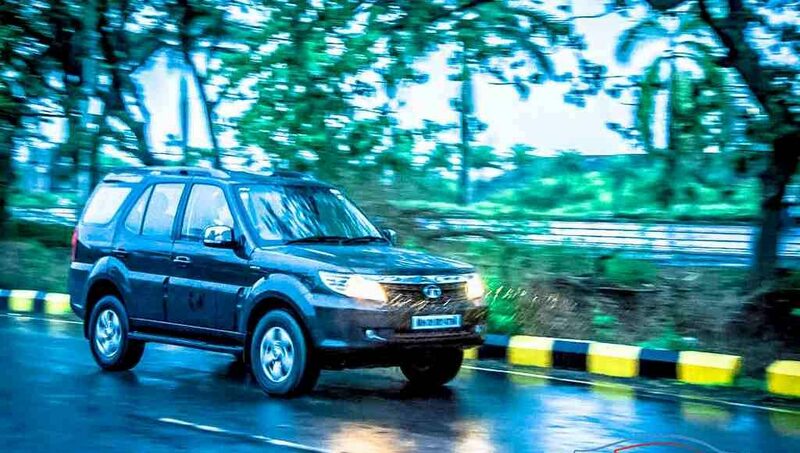 When compared to the old Tata Safari Storme, the driveability is surely better, but there still is turbo-lag present under the 2000 RPM mark. Post 2000 RPM, The car pulls strongly till 3500 RPM and post 4000 RPM power tapers off. 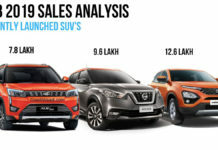 As imagined, the mid range is strong and the top-end isn’t that great. 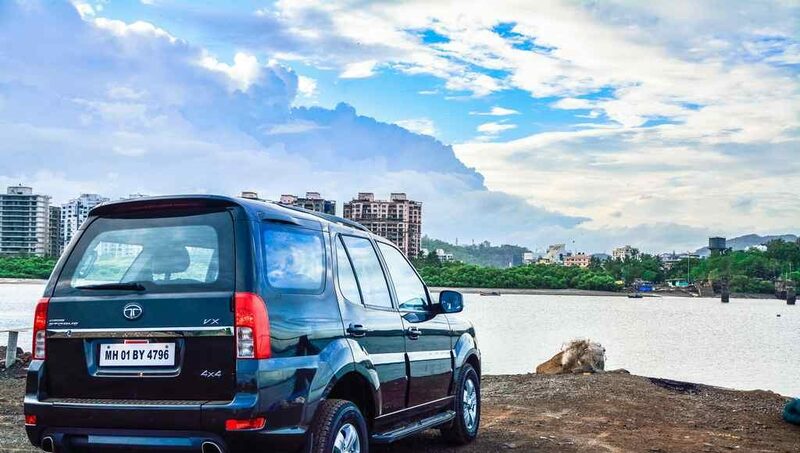 Reaching near the top-speed takes some time, but it can cruise at speeds of 120-140 km/hr all day long on the expressway without a hint of stress from the engine. 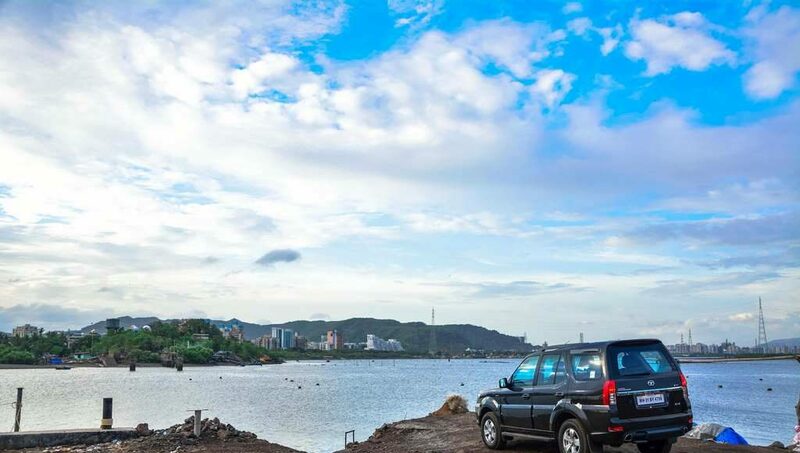 We got a healthy mileage of 9 km/l in the city and 12.3 Km/l on the highway with a moderately heavy foot. 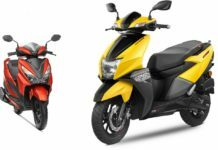 The engine is smooth, but there are vibrations on the gear lever at times. Overall NVH inside the cabin is pretty impressive than before till the moment you start redlining. When you do that, the engine emits a snarly engine note inside the cabin, which most people won’t like but we have a strange admiration for it. The Safari continues to the be same as before when it comes to the underpinnings. 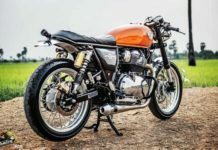 The ladder on frame structure continues with no changes to the suspension or brakes. 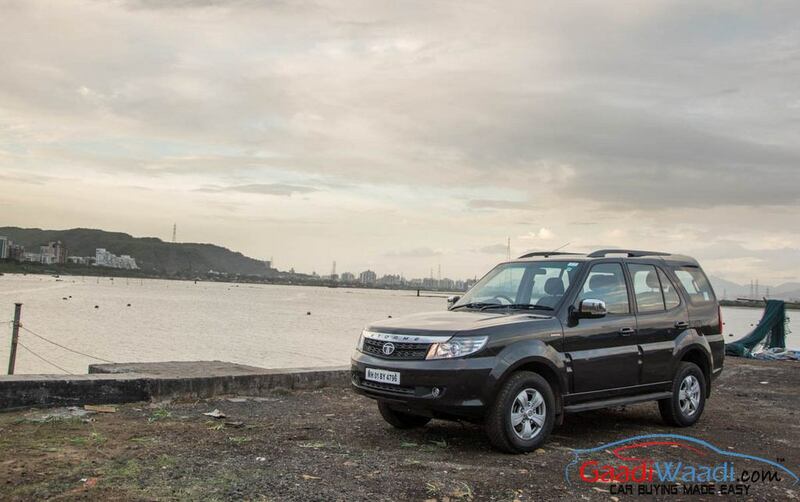 Tata Safari Storme continues to handle better than the previous generation while body roll is well in control, it still there in abundance. Reason for this is simple, the height of the car is way too much and higher center of gravity means top-heavy feeling is quite prominent. It can take expressway sweepers at triple digit speeds, but there is a hint of nervousness once you approach the limit of the car. 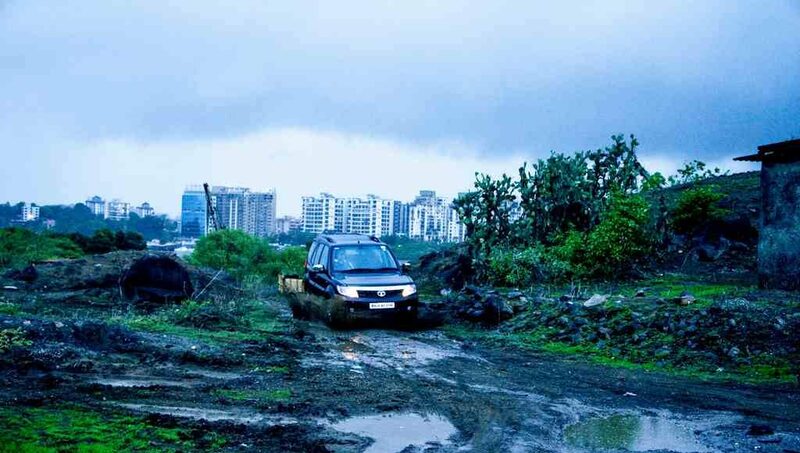 All of the sacrifice means that the ride quality of the car on any given speed is amazing and highway stability is top class. The new steering is great to hold and isn’t as big and cumbersome to manage as before. 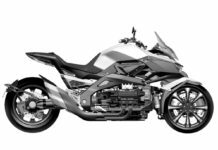 The steering weight is on the heavier side and while cornering and going in a straight line there is good feedback, steering is heavy enough to inspire confidence in this huge machine. 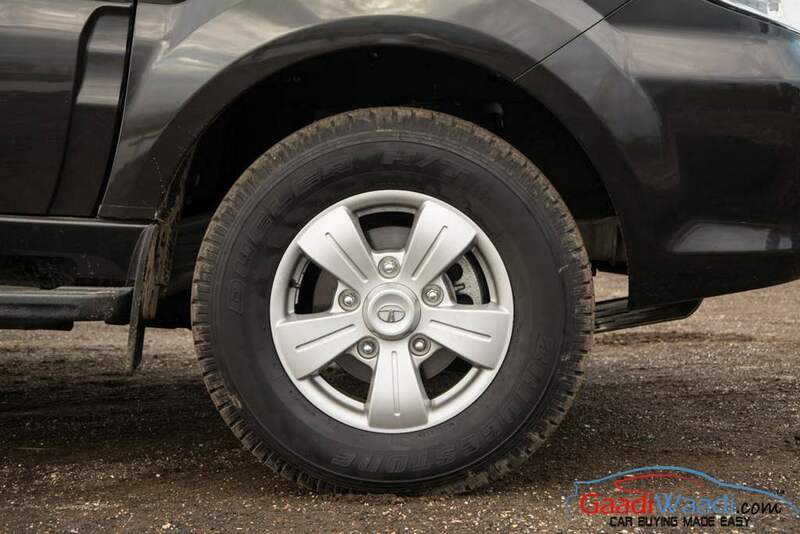 Grip levels are good and brakes are top notch with all around disc brakes. 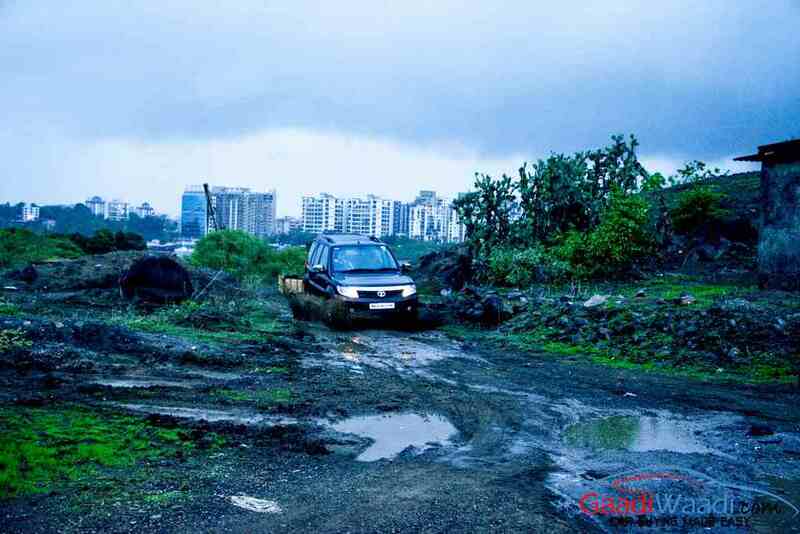 Road oriented tyres would help better both braking and grip as these tyres can do quite a bit off-roading as well. 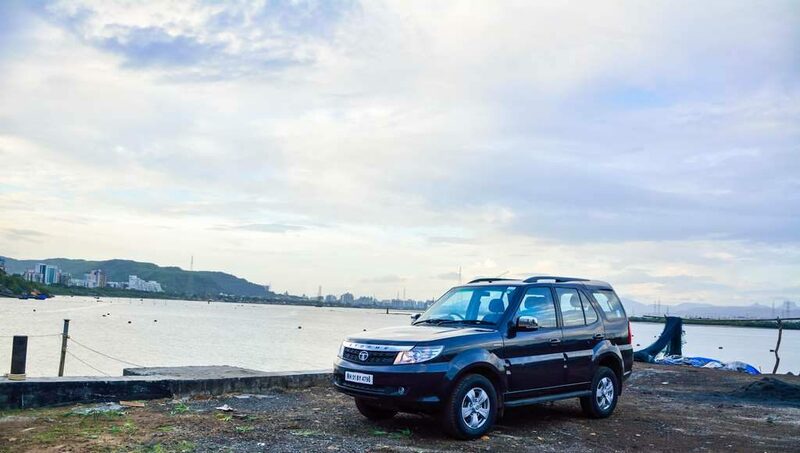 Shift on fly button gives you the opportunity to go from rear wheel drive to four wheel drive with a twist of a knob and Safari Storme is well known for doing what it does best and it lives up to the expectations. 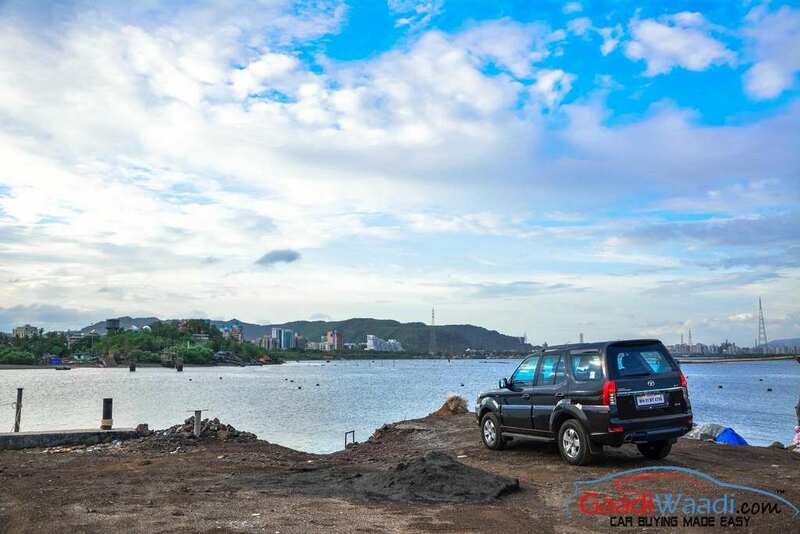 2015 Tata Safari Storme may not bring a substantial amount of change to the car but the changes done are definitely noteworthy. 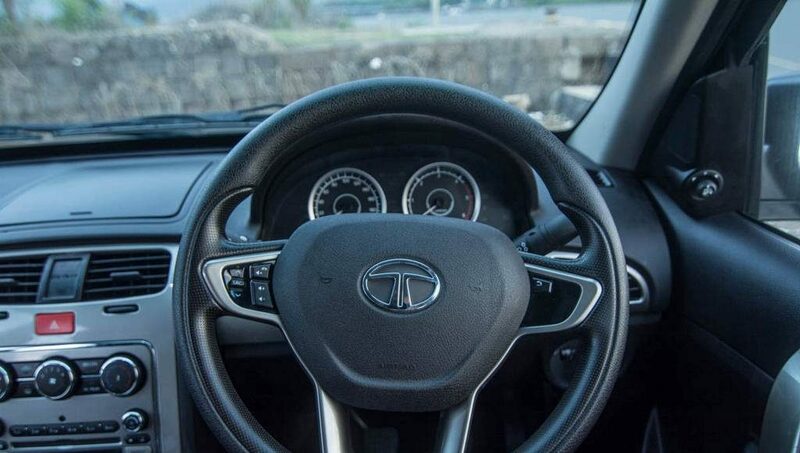 The new interior trim, more features, a better steering and more horsepower from the engine is always welcome. 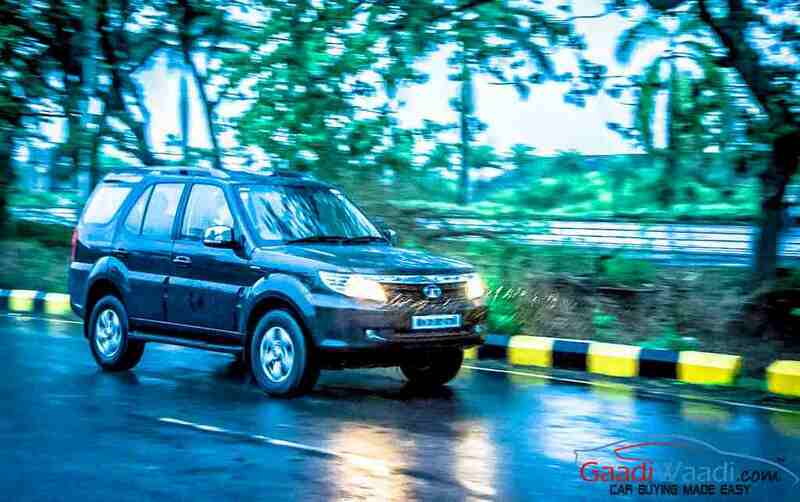 Tata Safari Storme is all set to fight the recently updated Mahindra Scorpio, which is more substantially face-lifted and now the Tata Safari Storme with this first facelift post the launch. 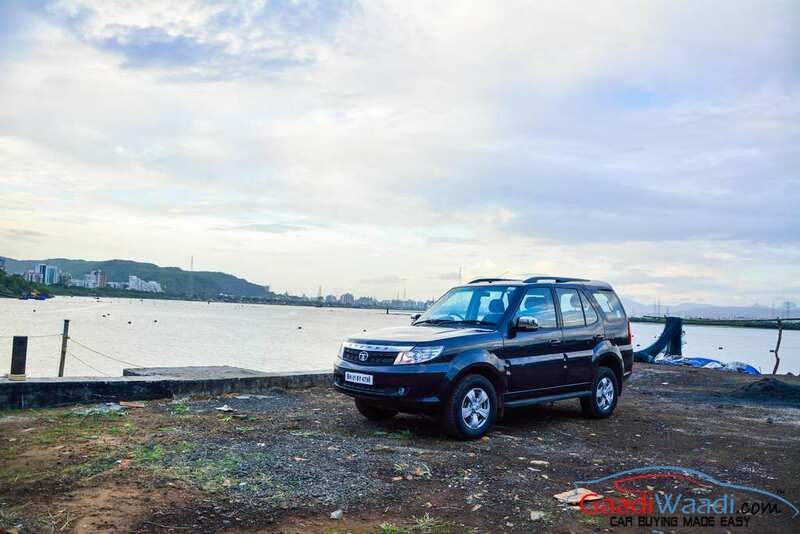 Tata Safari Storme in its new avatar in 2012 was a big leap and this new 2015 Tata Safari Storme will make sure it puts out a tough fight as this iconic battle between two giants and their giant cars keeps getting interesting. 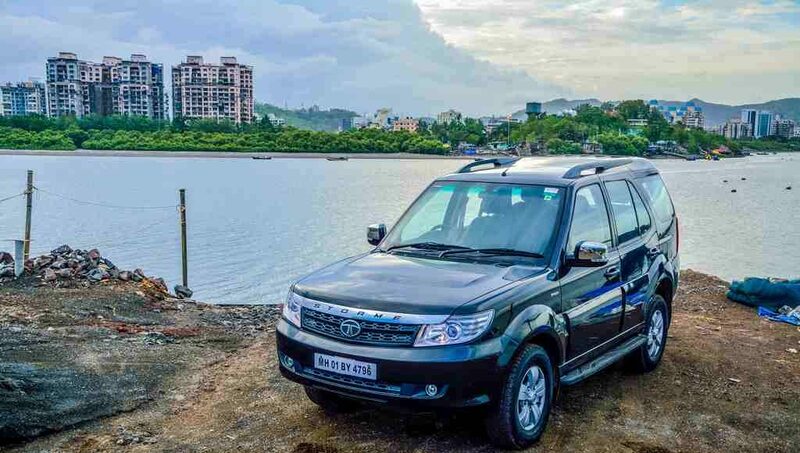 Till then the Tata Safari Storme makes a compelling case who want the old school charm of the big brute SUV, which has immense character and magic that attracts customers, despite in small numbers to itself.